The problem with driving down a road and going to a place where you have never been before is that you are constantly filled with doubt .. did I miss it? How much farther? Did I miss the sign? 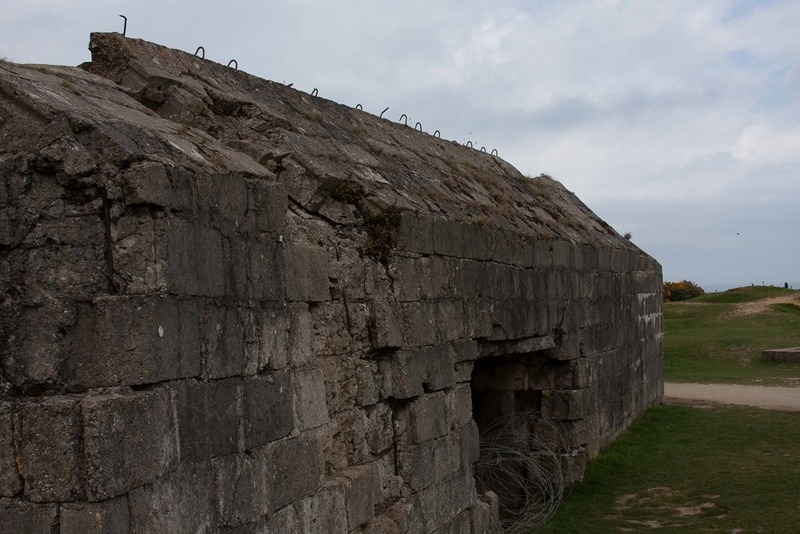 In the end, we never did make it to Batterie de Maisy, because I thought we were there when we came to Point du Hoc, a coastal gun emplacement. I am glad we made the mistake. The sun had cleared the morning’s ominous clouds, so we headed down the path from the parking lot. As you walk, you start to see craters. 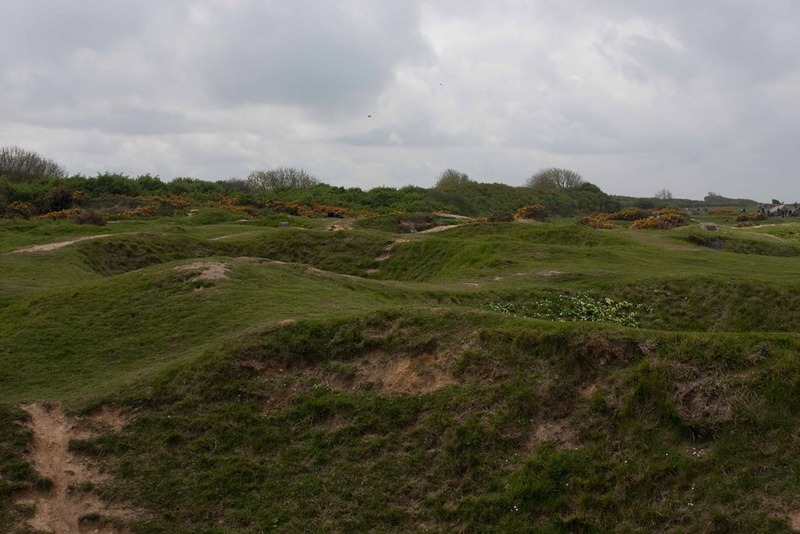 Huge 15-20 foot deep holes where the shells from the Allied ships and bombers had attacked the emplacement. As you end the path, you round a corner and look out on this huge field that had once been flat … the Allies shelled the place into oblivion. Amazing …. 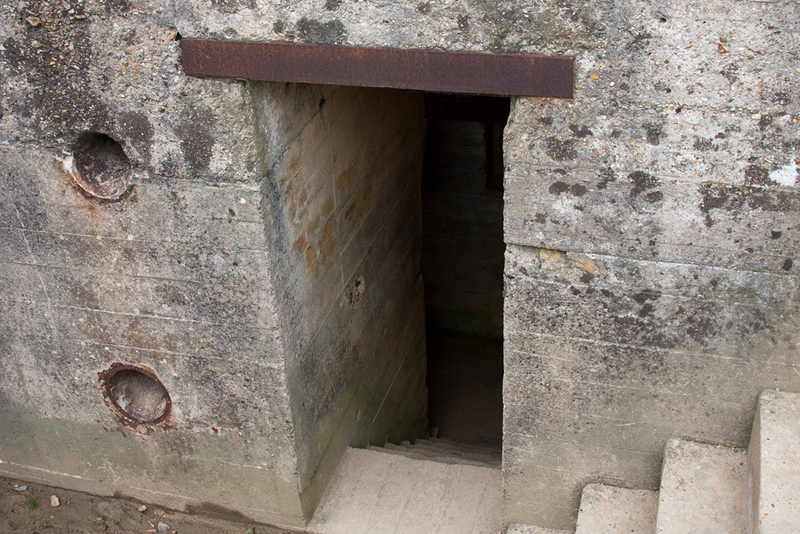 A number of the bunkers remain, but huge slabs of cement, with jagged iron stick out at odd angles everywhere. A two foot thick slab of concrete sticking oddly out of the ground gives you a distinct impression of the size of the artillery shells. 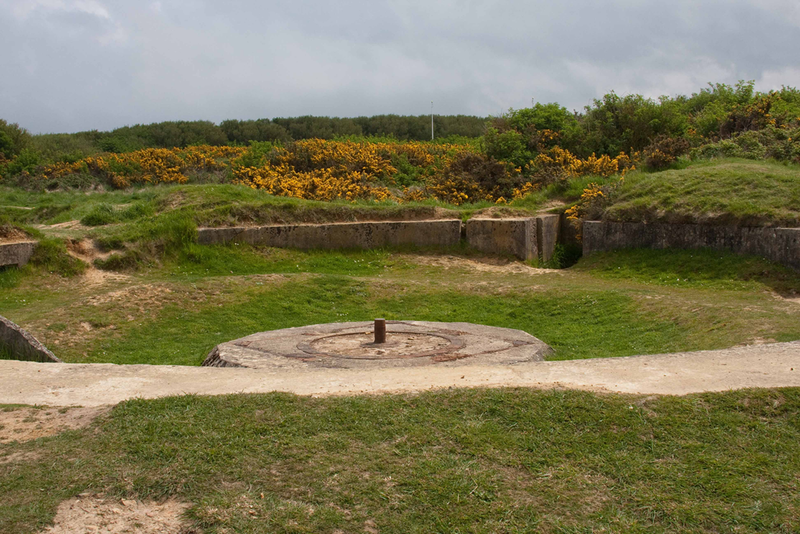 The six 155mm gun battery with a 17 kilometer range housed inside concrete bunkers threatened the invasion fleet, OMAHA Beach, 6 kilometers east, and UTAH Beach, 14 kilometers to the northwest. This was the most lethal battery in the invasion area. The battery had to be neutralized as quickly as possible in the early hours of the invasion. The 8th Air Force bombers cautiously held their bomb loads a few seconds longer to avoid hitting the assault wave. The bombs landed harmlessly inland. At 6 a.m. the battleships Arkansas and Texas commenced their bombardment. Before lifting their shelling a half-hour later they had fired 600 12 to 14 inch shells. The 10,000 tons of explosives equaled the destructive power of the atomic bomb on Hiroshima. One battleship shell exploded inside an empty bunker collapsing the rear wall. Loved climbing into the ruins. The plan called for the 2nd Ranger Battalion (Companies D, E and F) to land east and west of the Pointe at 6:30 a.m. The rangers, using British LCPs (Landing Craft Personnel) manned by British coxswain had one of their 10 boats swamped shortly after leaving the mother ship. The company commander and platoon were rescued but returned to England. A 20mm cannon shell fired from the cliff top sank one of the four DUKWS (amphibious truck). In error the coxswains headed for Pointe de la Percee, 5 kilometers east. Colonel James Earl Rudder seeing the error ordered a course change that brought the 9 landing craft, 3 DUKWs and one supply boat (a second had swamped) back to Pointe-du-Hoc along a route paralleling the coastline. 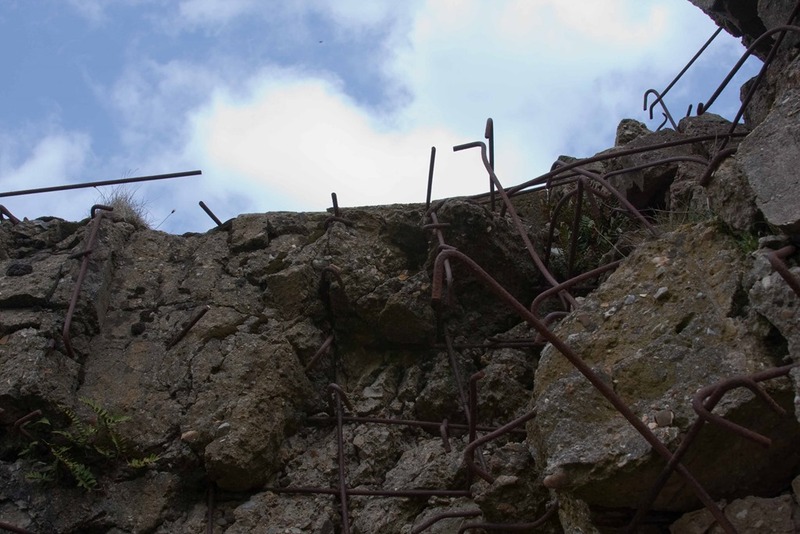 A German machine gun nest on the cliff edge 300 meters east of the Pointe raked the passing attack force. All the craft landed east of the point forty minutes late and long after the USS Texas bombardment had lifted. 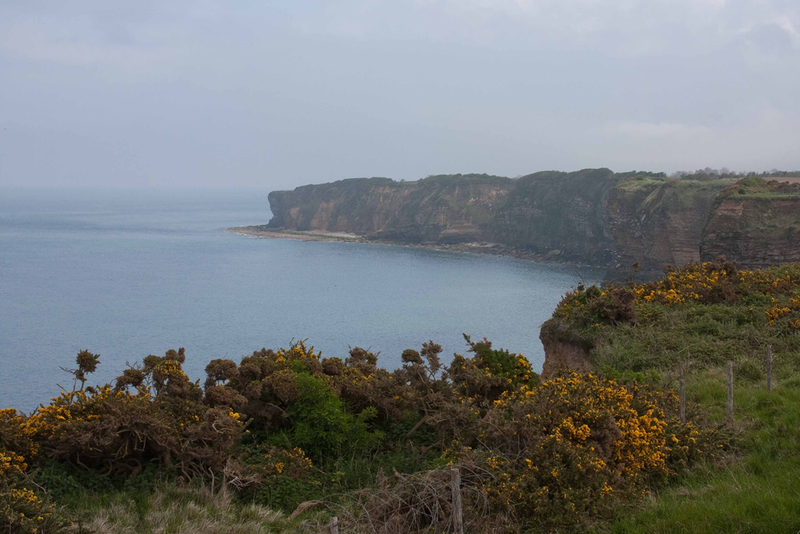 (The delay caused the reinforcement 5th Ranger Battalion to believe the rangers on the Pointe had not been successful and diverted to OMAHA Beach.) The Germans rushed to the cliff edge firing and throwing hand grenades down on the invaders. Two navy destroyers, the HMS Talybout and the USS Satterlee moved in close firing their machine guns and antiaircraft pompom guns into the German ranks. From the landing craft grappling hooks with rope ladders attached were fired to the top of the 35-meter high cliffs. Many of the ladders heavy with seawater fell short. On each hook a burning fuse terrorized the Germans attempting to cut the attached rope. From one of the DUKWs a ladder borrowed from the London Fire Department rose to overview the cliff top. Sergeant Bill Stivinson with his machine gun climbed the ladder. The DUKWs unsteadiness on the rocky beach combined with Stivinson’s weight caused the ladder to sway back and forth 45 degrees. 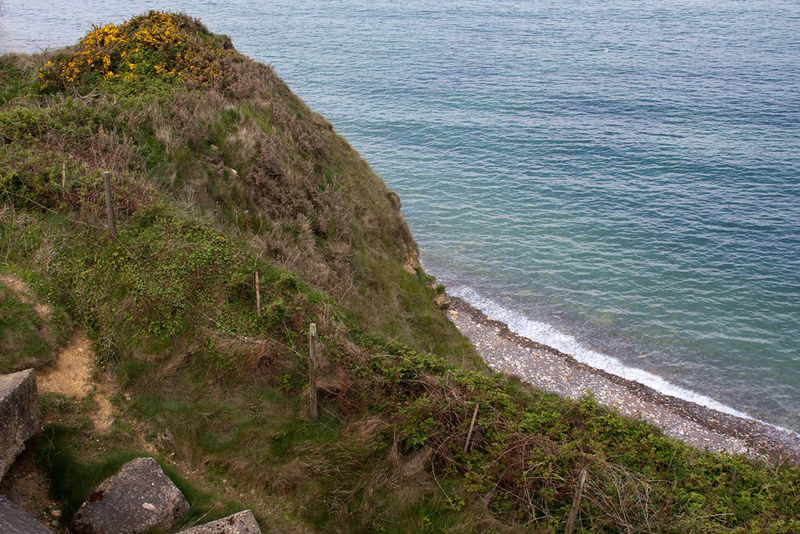 Each time the sway brought Stivinson past the cliff top he fired on the Germans along the edge. Within five minutes a number of rangers had climbed to the top. In another ten minutes the remaining 120 of Rudder’s 225 men were slithering over the edge and into the welcome protective shell craters. 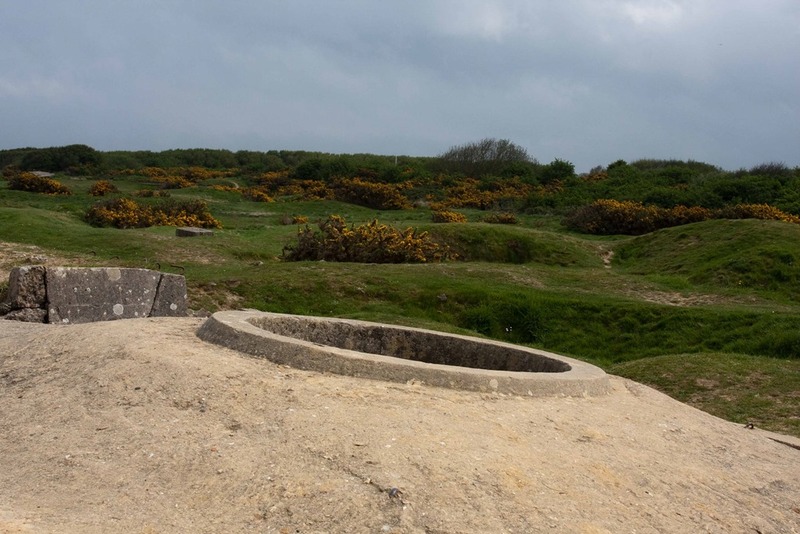 The platoons moved off to seize their pre-assigned bunkers ignoring the machine gun and 20mm fire from the large strongpoint on the cliff edge. Determining they had captured empty bunkers containing only telephone poles the rangers moved south to D514. 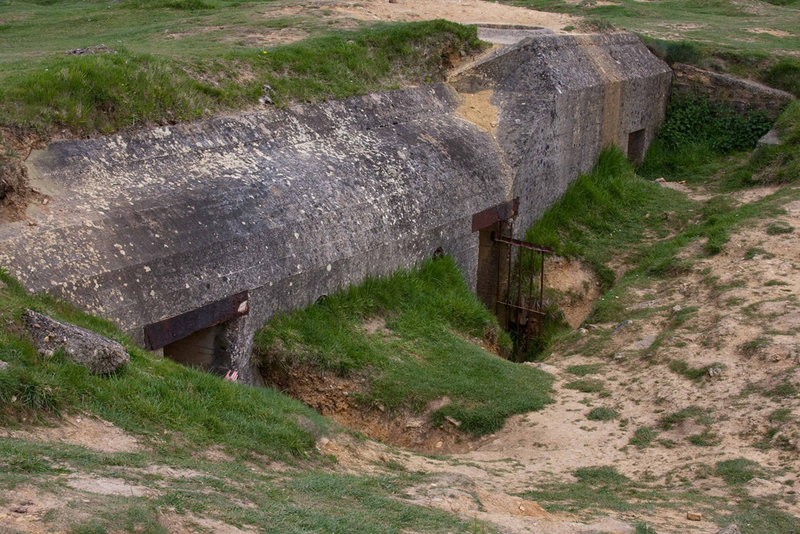 Although the bunkers had been taken the battery area was still not cleared. 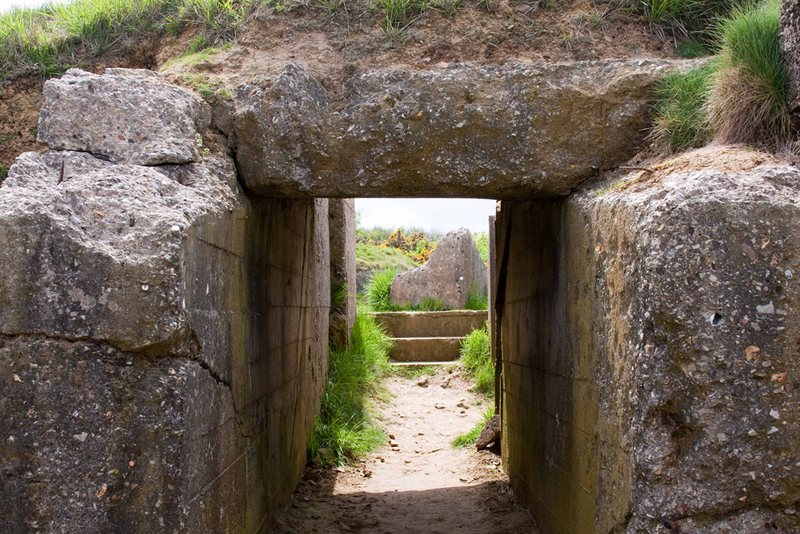 The enemy would unpredictably appear from their elaborate tunnel structures, fire a burst from an automatic weapon or throw a grenade then disappear. The machine gun east of the Pointe that had harassed the landing craft now poured fire over the heads of the rangers in the shell holes. The navy and army fire control team had been knocked out with a short shell and the radios damaged. A visual Morse code blink light signalled the USS Satterlee to knock out the machine gun nest. A few rounds tumbled the nest and occupants down the cliff face onto the beach. No one survived. A great perspective on the slabs of concrete. Those were mighty big shells. The irony is that the guns were found hidden in an orchard later, unprotected. 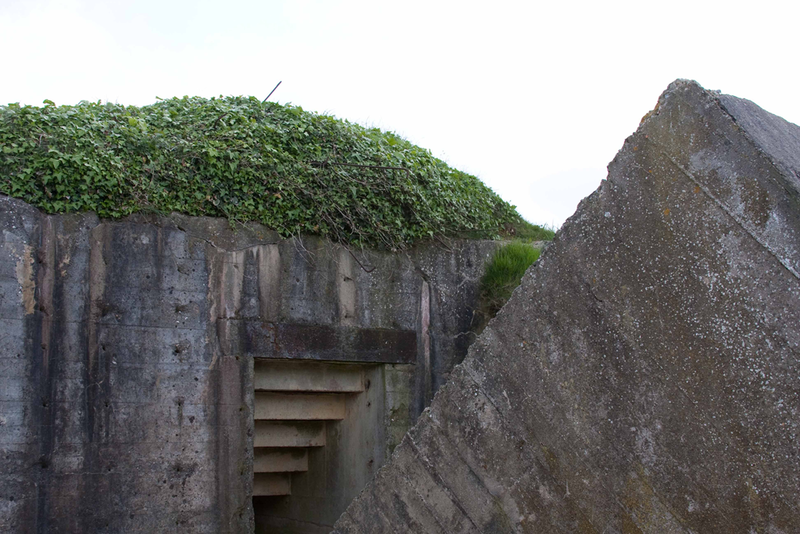 The intact battery bunker nearest the point became the medic’s aid station. The Germans had pulled back south of D514. The rangers set up defences. Sergeant Leonard Lomell and Jack Kuhn followed a dirt road, suspicious it might be the track created by the Germans hauling out the six-gun battery. Two hundred and fifty meters south of D514 in an orchard they found the guns and ammunition unmanned. The German gun crews had cautiously pulled away from their ammo dump. The Americans blew up the ammo, destroyed several guns and incapacitated the remaining gunsites. One of the guns … they are big. A couple amazing hours later, we jumped in the car to hit our final stop, Omaha beach (or so we thought). 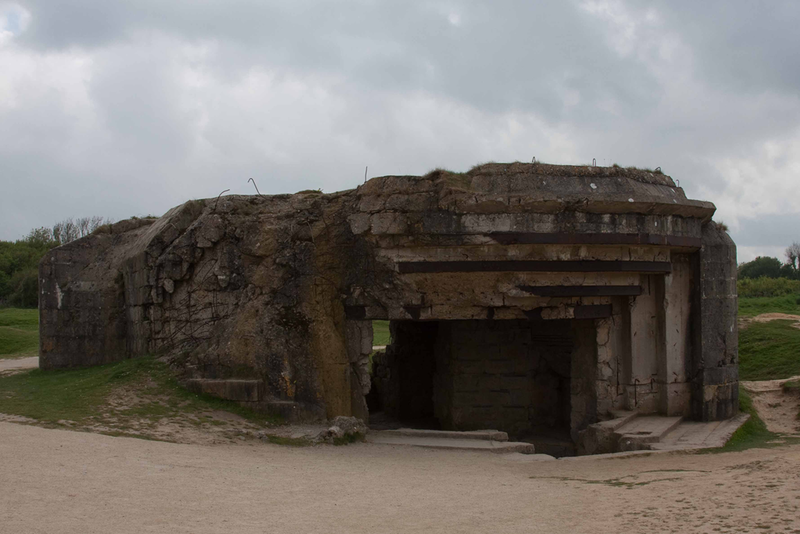 This entry was posted in Travel and tagged Batterie de Maisy, D-Day, France, German bunkers, Normandy, Pointe Du Hoc, World War 2, WWII by michaelweening. Bookmark the permalink. this particular in my personal web site plus you’ve got given me an idea. 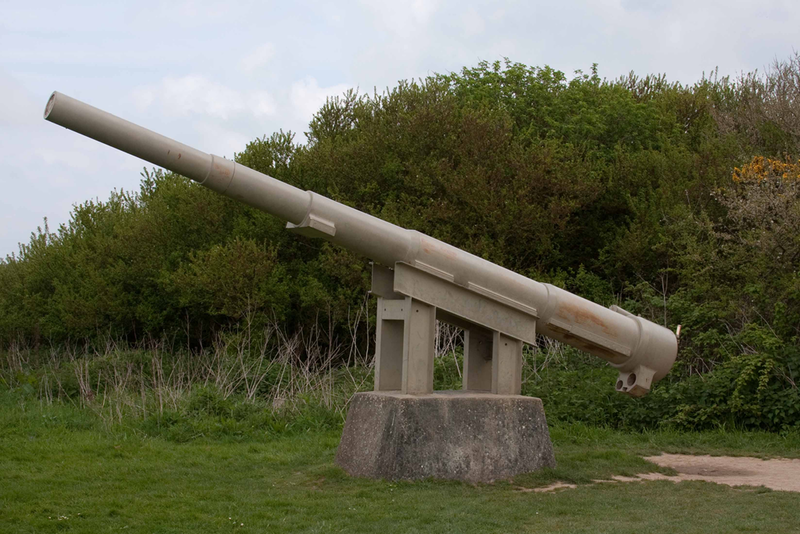 Hi – can I just mention a couple of things to you….. Maisy Battery was and is much larger than Pointe du Hoc and fully operational on D-day and beyond. So the statement that PdH was the largest and most dangerous is just simply untrue. 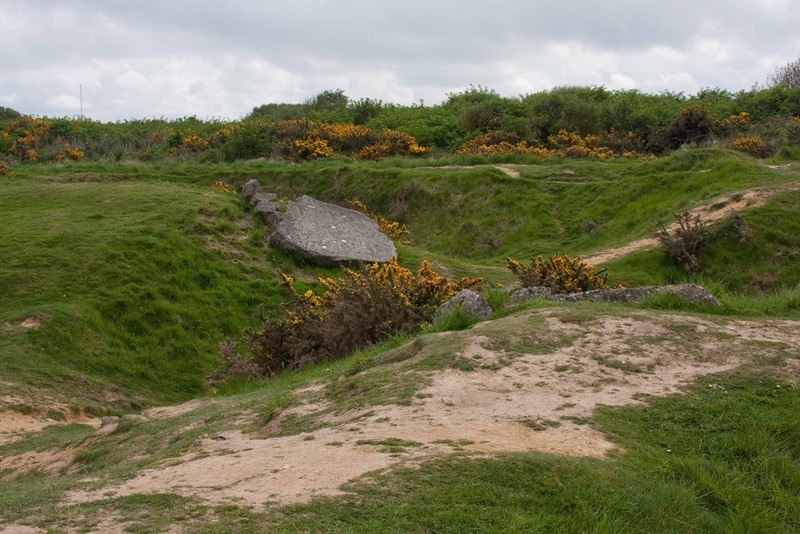 Pointe du Hoc also had NO operational guns on d-day and was known to be empty for 6 weeks before D-day. So again you are repeating inaccuracies. For the sake of the men who fought at Maisy and in other areas of Normandy can you please correct this. To tell a version of history which is wrong does nothing to enhance their history – it only serves to degrade it. Please look at http://www.maisybattery.com and you will be able to compare the two sites. Maisy is 5 times larger than PdH. The photograph of the cannot at PdH was given to the area by a university. It did not come from the Pointe. It is a gift to the site. Not an original from the site. 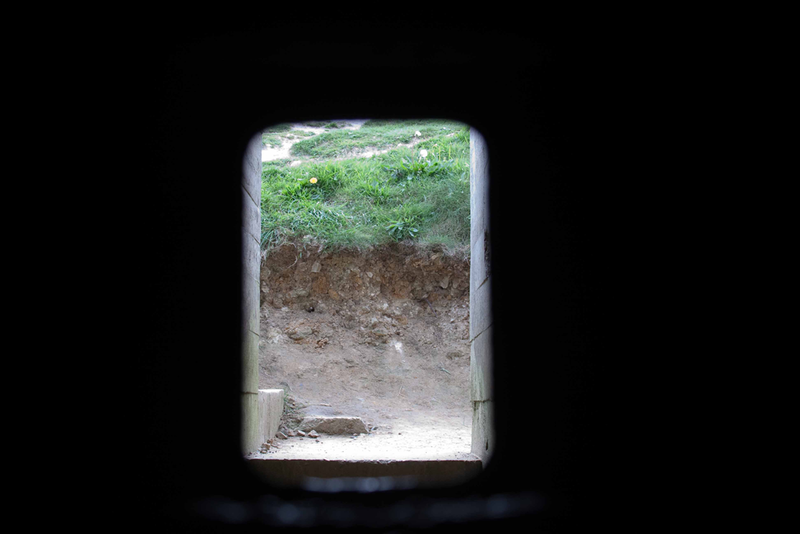 There were NOT 6 guns in casements at Pointe du Hoc. If you look there are only TWO casements nearing completion at the site. They were intending to build 4 – so the statement that there were 6 is simply wrong. The casements being built were for 10.5cm Krupps deck guns – not 155mm WW1 French cannons. They are physically two different things. 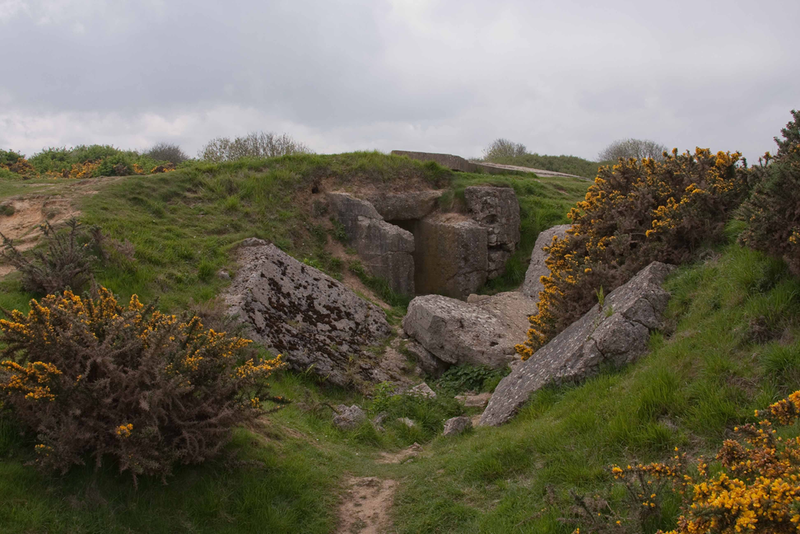 In 1953 the French army carried out weapons testing at Pointe du Hoc.. that is never mentioned when showing people the damaged buildings…. Period GSGS intelligence maps drawn up on the 23rd of April state that the gun pits were “unoccupied” – thus your statement that the guns were removed after bombing on the 4th of June is incorrect. They were known to have been moved weeks before. 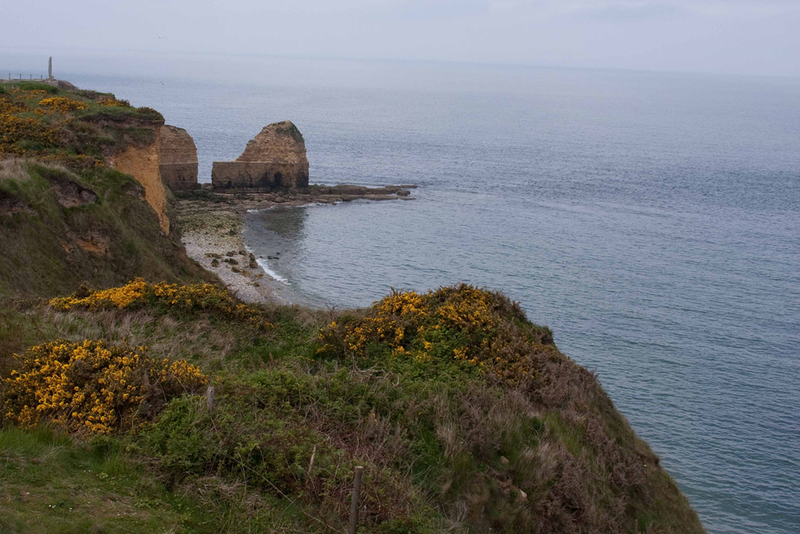 The cliffs had been reduced by 50% – to approximately 50 metres by naval gunfire. So the photograph you show as having been climbed fully by the Rangers is inaccurate. They climbed about 50 ft – look at the period photos – there are plenty online. PLEASE do your own research and don’t repeat the rubbish written by others.